Happy Easter everyone! I hope you all had a good rest during the Holy Week. 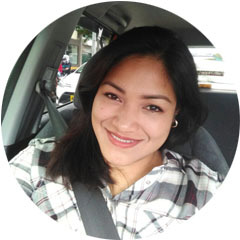 Anyway, I have mentioned before in my previous posts, that I am now a shade lighter. So, naturally I had to switch my powder. 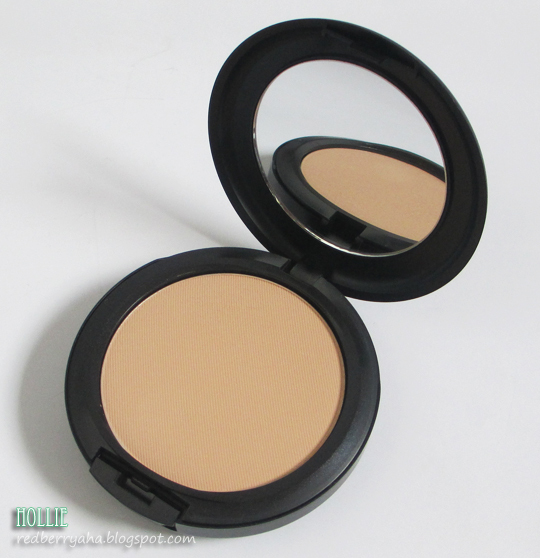 I used to be in the shade C40 for the Mac Studio Fix Powder but now I'm using the shade NC35. Just a heads up, the C range shades has more yellow undertone compared to the NC shades. Some of you might remember that this product was included in my December Haul which I posted early this year. 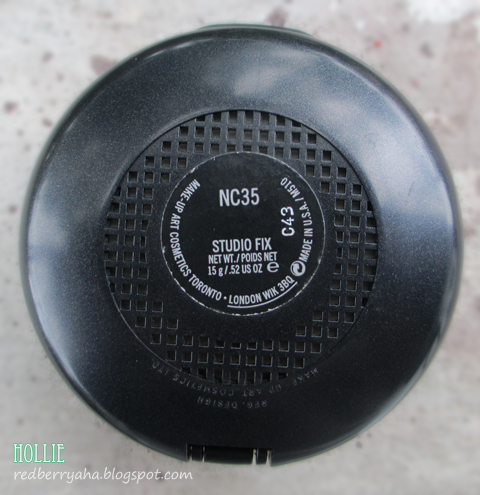 I feel like that you might be interested to see what NC35 looks like. Here is what I look like with and without the powder. 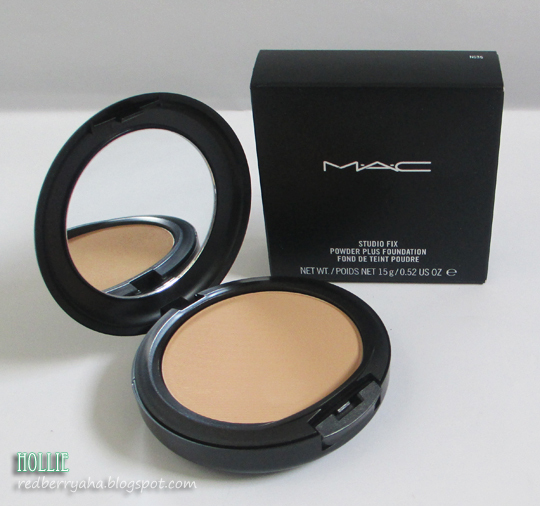 If you noticed, the Mac Studio Fix Powder Plus Foundation has excellent coverage, that's why I rarely find the need to use a concealer. 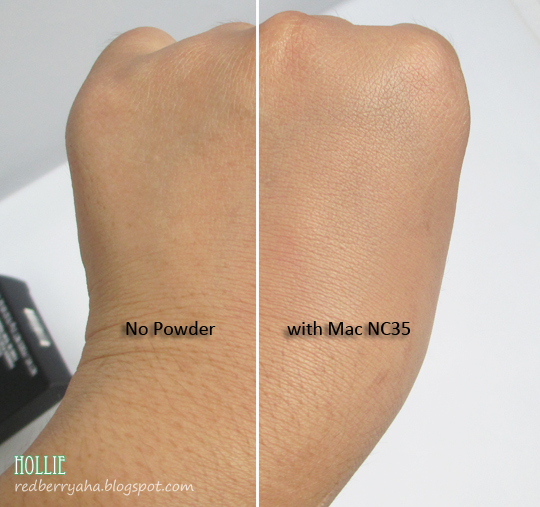 The shade NC35 is about one or two shades lighter compared to my old Mac Studio Fix Powder in C40, which you can see HERE. 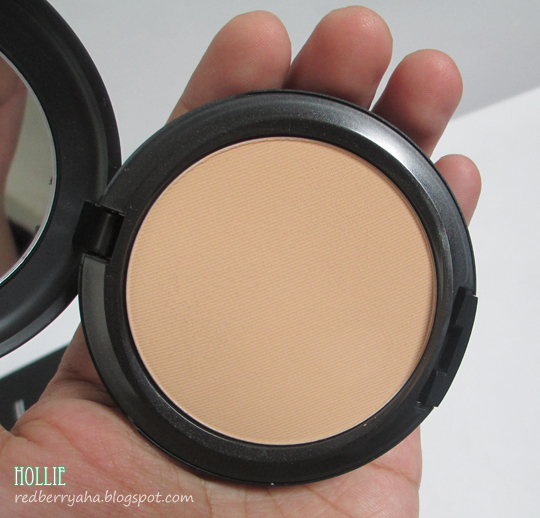 Though this powder is quite expensive at Php 1,800.00 it is still my HG (Holy Grail) powder foundation as it gives excellent coverage, great oil control and the whole compact can last me up to 12 months. I love to apply this using my Charm Luxe Retractable Kabuki brush, I do not use the sponge that comes with the compact. 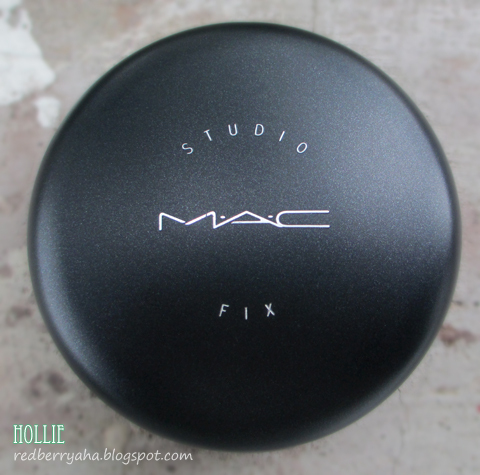 If you want to know why this became my favorite powder foundation, you can read my full review of the Mac Studio Fix Powder HERE. If you're interested to try out MAC Powders, I suggest you actually go to your nearest M.A.C counter and find your shade match. 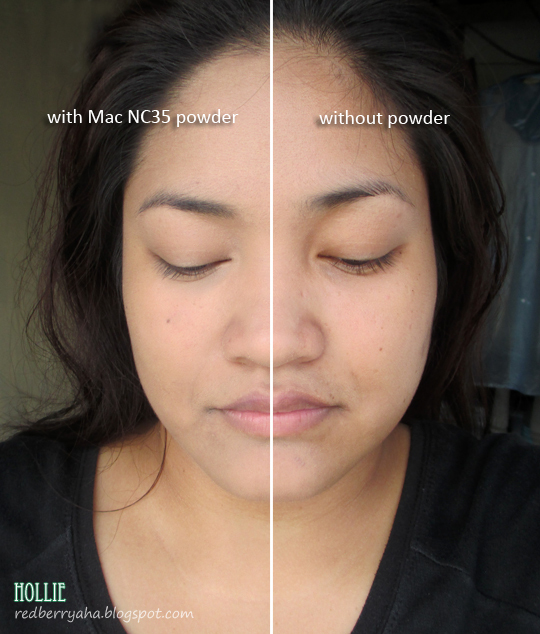 I still can't use NC35, I noticed kahit dun sa progression ng shades some are still less yellow. Like for example NC30 is more yellow than NC35. The latter is ashy on me. May C30 ba? 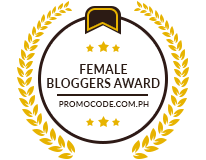 Haven't checked C40 pa din ako. Whoah, I'll definitely have to look into this if it's HG status! 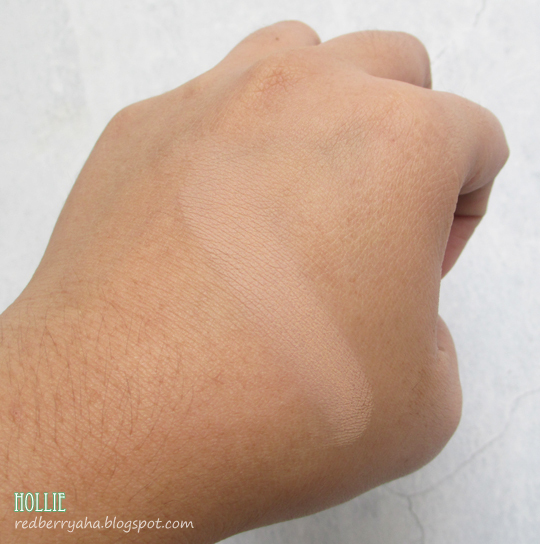 But to be honest, I don't see much of a difference in that face swatch photo because your skin is already perfect?